Cost? $30 per person includes comedy show and all the cheese pizza you can eat! Basket Raffle with gift certificates, scratch tix, liquor & more will be held. The Rotary Club of Medford is a 501 (c) (3) Organization. 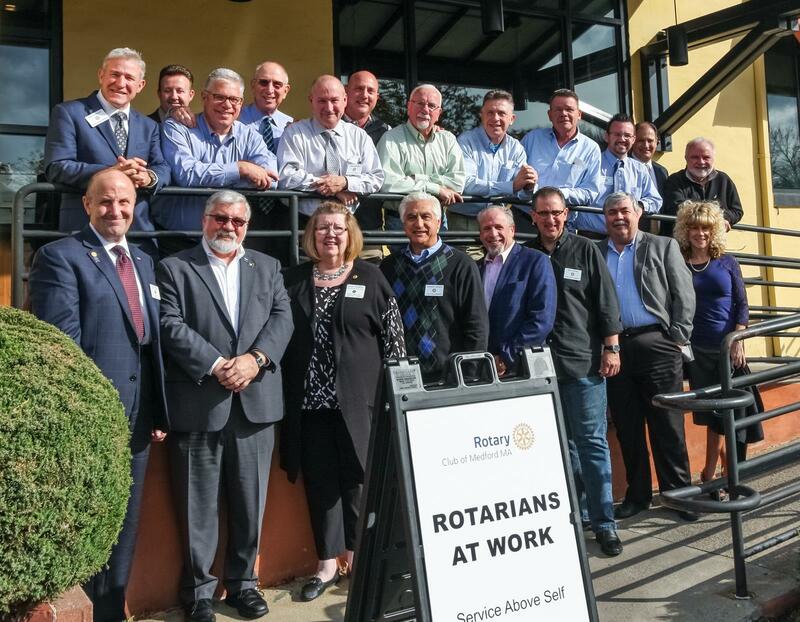 Following a recent Medford Rotary Meeting, several Rotarians met outside Bertucci's in Medford for a photo op. 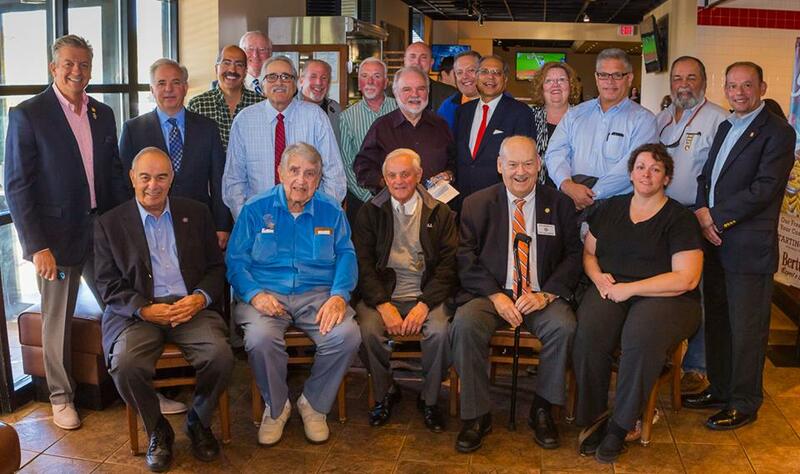 This quick photo represents a group of meeting attendees happy to be a part of our Rotary club where we regularly meet and do important things in our community to help our citizens. Thanks to all of our club members, even many that are not in the photo. Have a great day. 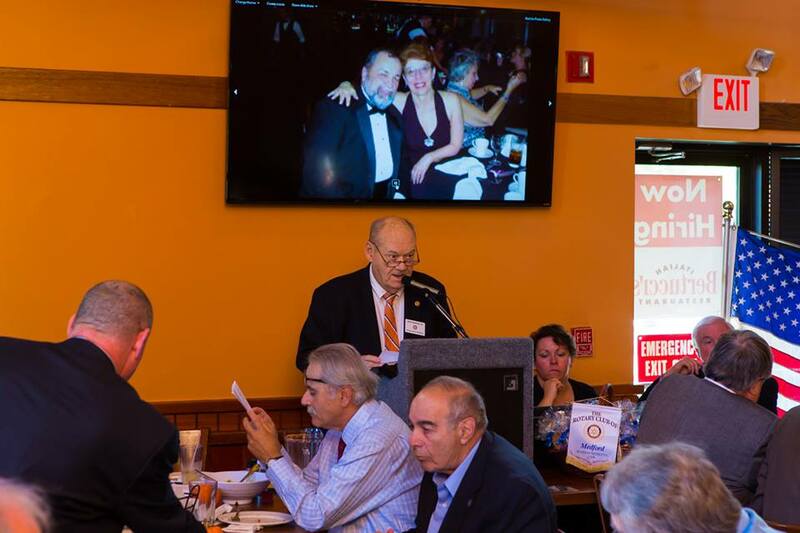 Thursday, October 15th, Medford Rotary Club celebrates the service accomplishments of its Past Presidents with a luncheon in their honor. John Hackett Sr read the roll call of Past Presidents as they passed the gavel in order of presidency. A historical photo video was continuously running throughout the luncheon that was complied by Mary Sbutonni. It allowed all of us to reminisce past meetings, fund raisers, service projects and have a few laughs. Mayor Michael J McGlynn joined us for lunch. He spoke about the many Rotary service projects that help the citizens of Medford. He acknowledged our long standing Holiday Food Basket Project, and the Sister City student exchange with Nobeoka, Japan. He then presented President, Anne Gelineau Powers with a proclamation making October 15, 2015 as Medford Rotary Past Presidents Day. 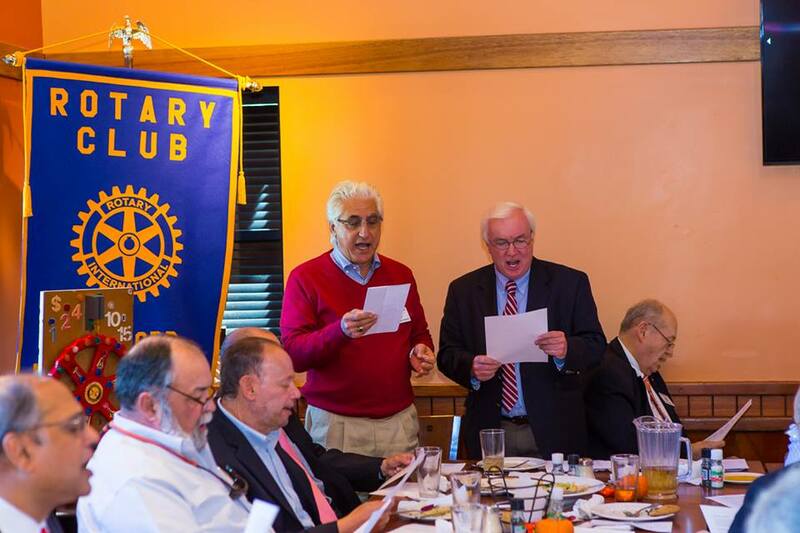 A sing along was led by Domenic Camarra and Mayor McGlynn joined him as we sang some "olde" time songs - just as they did at every Rotary weekly meeting. Thank you to Past President Paul Bardaro for coordinating this event. A Good time was had by all..... Let's do it again next year! Lenny Clarke to headline the upcoming Rotary Comedy Night. On May 1, Medford Rotary will be holding it's 25th annual comedy night, at Montvale Plaza, but this year, we have a special guest. Lenny Clarke signed on to be the headliner at our fun-raiser. Tickets are $60 and still available. If you are looking for a great night out, good food, great friends, and fantastic comedians for only $60, message this web site and we'll get you some tickets. Less than 1 week left, let us know and help the Rotary raise some money for local charities. December is Family Month for Rotary International. 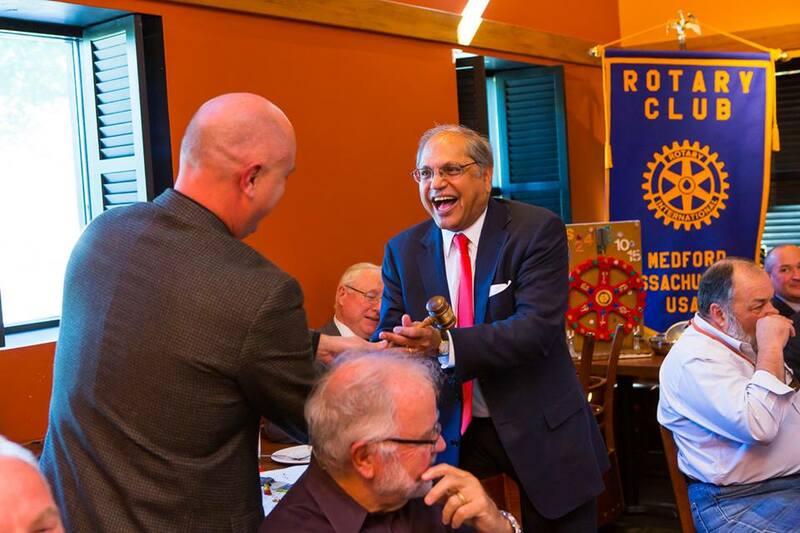 This year the Rotary Club of Medford had the experience of witnessing the growth of our family and the strengthening of our global connections. 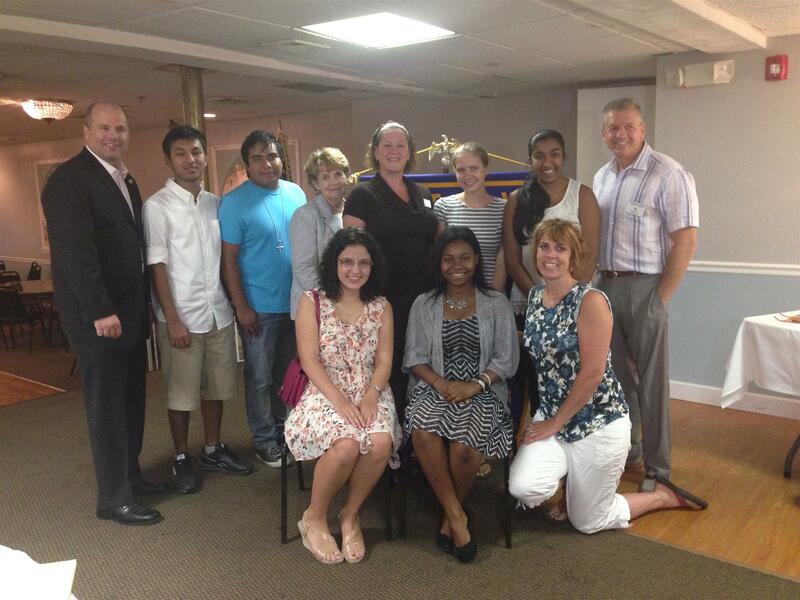 Shown Back l-r: District Governor Elect David Manzi, Interact students Rezwan Ali and David Mojica, Rotarian Judy Lonergan, Assistant Governor Jen Sanders, Liz Sholtys of Ashraya Initiative, Interactor Ravina Longia, Medford Rotary President Doug Shoop. Front l-r: Interactors Erica Budina, Thessie Elysee, Advisor Amie Saulnier. 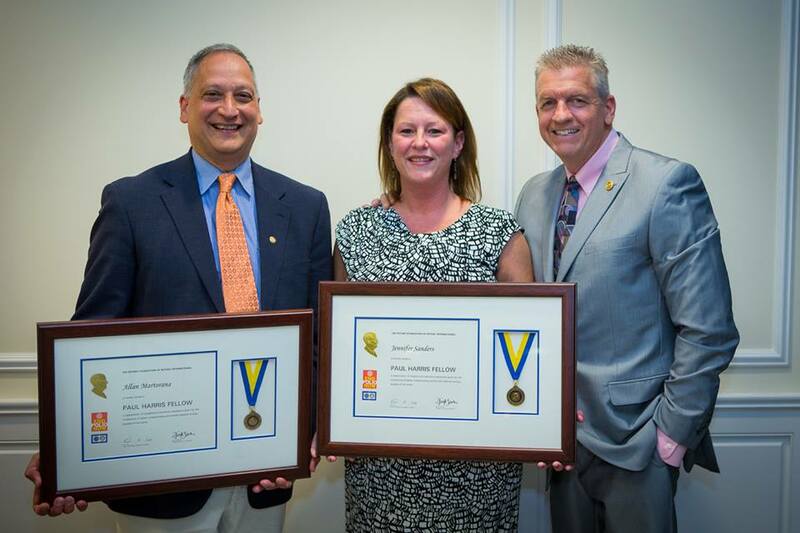 Congratulations to Medford Rotarians Allan Martorana and Jen Sanders (l-r) who were awarded Paul Harris Fellows by the club at our 91st Installation dinner, June 2014. Sanders is the club's outgoing president and will be an Assistant Governor for Rotary District 7930. Doug Shoop (far right) was installed as club president for 2014-15. This is Doug's second time serving as our club president. Thank you to Century Bank for providing us with an amazing location for our installation of new officers and board. 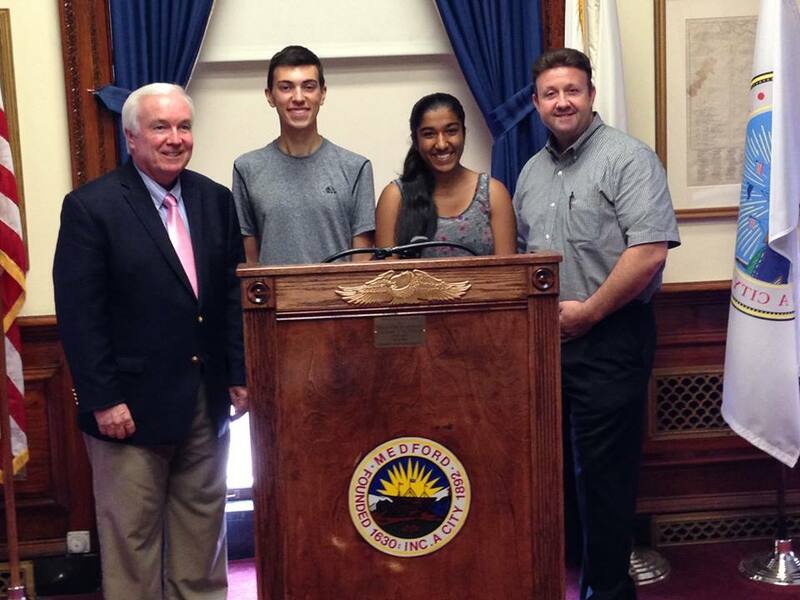 This year, Medford High School upcoming seniors Matthew Minchello and Raveena Longia were selected by the Medford Rotary Club to act as ambassadors for the City of Medford in our two week student exchange with Medford's sister city, Nobeoka, Japan. Shown with Medford Mayor Michael McGlynn and Medford Rotarian David Keane before their travels. We look forward to hearing about their trip!